27 km to the south from Tampere, lake Pyhäjärvi 40 m, hard and gently deepening sand bottom. There is a pier located on the lakeside. Access to swimming via swimming ladder. The bottom of the lake is hard and sandy. The length of the shoreline is 130 m.
Rowing boat. There are life jackets in the cabin. 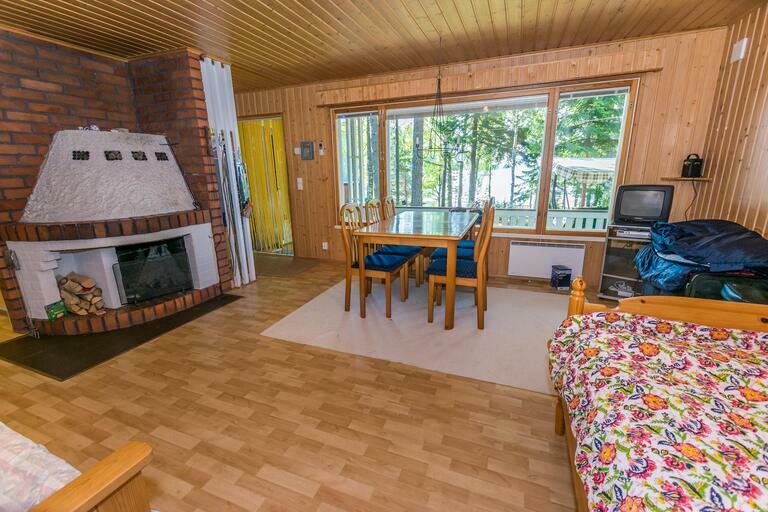 Authentic cabin-like atmosphere in a cabin which is built in 1960. Living room/kitchen with double bed and convertible sofa for two. Wood-heated sauna is in the same building. There is a room for four people in the sauna. The water is heated in a tank, which is connected with sauna stove. 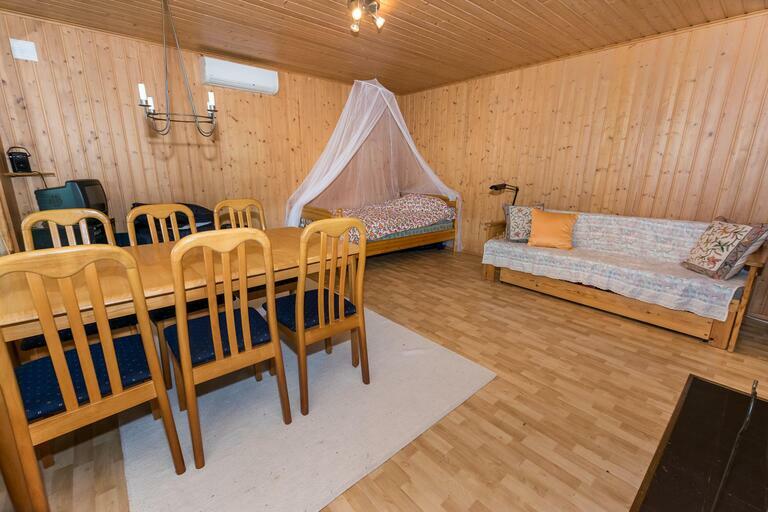 There is a dressing room and a dry toilet, which burns your droppings (brand name Cinderella) in next to the sauna. Covered terrace in front of the cabin. Gas grill and grill pan are located between the cabin and beach. Note! Unlike the pictures, there is no TV in the cabin at the moment. 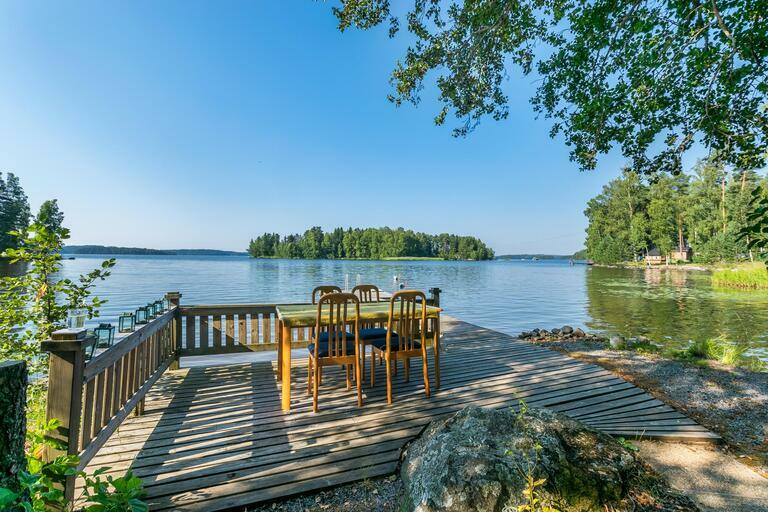 The cabin is close to the nature in a calm location, right at the lakeside on Pyhäjärvi. 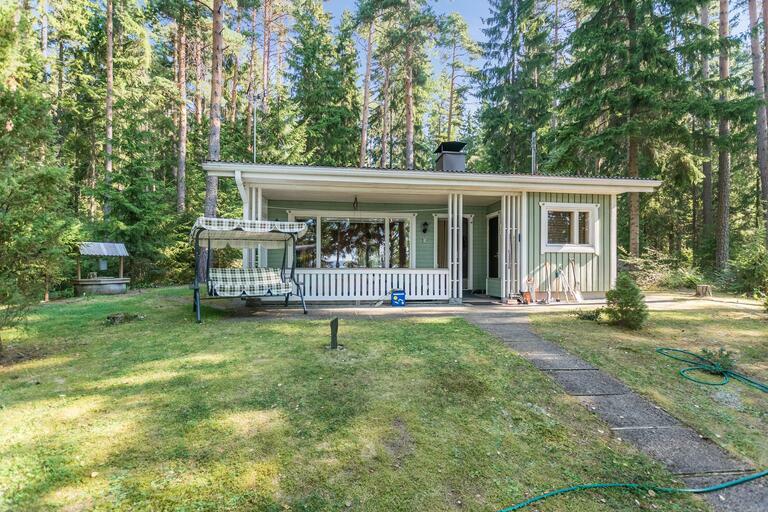 There is a gentle slope between the cabin and beach. The plot is grassed and forested. At this destination, you can enjoy the quietness of the nature. No visual contact with the neighbors. The bottom of the lake is hard and sandy as well as shallow for pretty far. The public beach is about 500 m away with a children's playground and a grill hut. There are many interesting places quite close to the cabin. Lempäälä 14 km, Tampere 25 km, Särkänniemi amusement park 27 km, Eden spa 23 km, Ideapark 18 km.